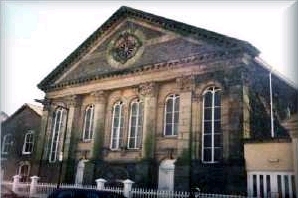 This building was originally the Old Calvinistic Methodist Siloh chapel built in the late 1870's, which was forced to close its doors in the 1970's. The Chapel and adjoining Caretaker’s property were bought by the Town Council in April 1978. They underwent extensive repair and restoration to convert them into a Community Centre, with a main hall large enough for use as a badminton court. The restoration scheme was recognised by a Prince of Wales Committee Award for the restoration of historic buildings. The Centre has undergone a further major refurbishment to repair the fabric of the building (including a new slate roof) and to improve the facilities available. Like Glenalla community centre it's registered by CADW as a Grade 2 listed building. Take the A484 through Llanelli. At the Thomas Street Roundabout, take the Church Street (A4214) exit, leading south to Llanelli Railway Station. Go straight over at the Murray Street crossroads, continuing on Station Road (B4304). Lakefield Road is the second turning on the right.